After another defeat at the Qualification for the WCh in Brasil 2011, Dusko Milic resigned from the position of Women’s Serbian National Team. Three months later, Management of the Serbian Handball Federation appointed Sasa Boskovic (48) for the new coach with the contract until December 2013, just after World Championship, which will be held in Serbia. Boskovic was the Serbian Champion with the teams in Women’s (Knjaz Milos) and Men’s (HC Partizan) Serbian Super Liga. 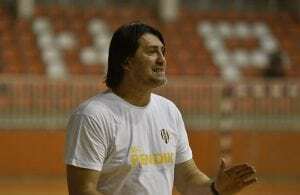 Last season, he was on the bench of Super Liga’s member, Dinamo Pancevo, with whom he avoid relegation. Serbia hasn’t a win at three last European Champioship (EURO 2006, EURO 2008, EURO 2010). Also, Serbian NT doesn’t compete at the World Championships since 2003.